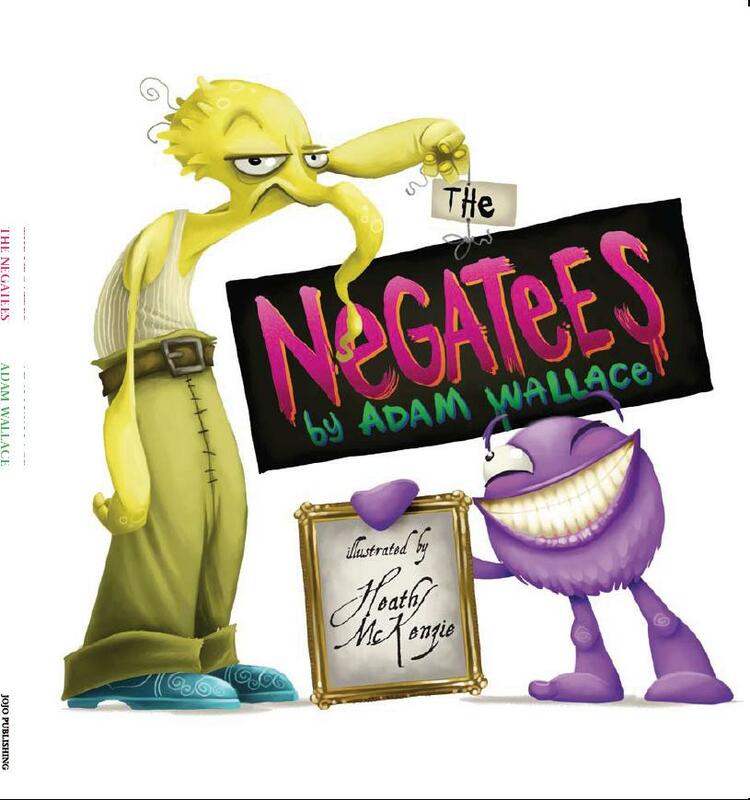 Adam Wallace has created rather masterfully a revoltingly good tale with a moral about being positive. The Negatees is a fellow who is yellow and eats jello, but a very negative fellow. Also present is a purple fellow who is completely opposite and bounces through the door with his three legs and one toe. Nothing good ever happens to the Negatees and when it does he is too grumpy to notice. Just icky enough to give giggles with heads of flies and poked out eyes (for a meal of course). Perfectly complimented by Heath McKenzies illustrations which I struggle to describe effectively; they are cartoon like and fantastic portrayals of the characters. I can’t imagine anything better suited. Great examples of negative and positive personalities. Bound to be a popular book for primary school aged kids. Teachers I dare you to read it. Warning: Comes with fits of laughter.